“Life needs to be lived - that's all there is to do,” stated former US First Lady, Eleanor Roosevelt. For those who would like to understand how one can succeed in doing that in present times, turn to the life and the work of jewelry artist and healer Ulrike Hofmann-Schuell. Raised in Hanover/Germany, as usual in a bourgeois environment, she completed high school in 1969, but then turned to a craft, learned to be a goldsmith and studied metal and jewelry design at the Fachhochschule Hildesheim. I met Ulrike Hofman-Schuell in 1981, when Helke Salzburg hosted her first symposium for artists in her gallery at Bissendorf near Hanover. Ulrike Hofmann-Schuell and I had an intensive exchange of experiences which has resulted in a multifaceted cooperation since that first meeting. Even then she showed her own will as she pursued her craft. She had already been maintaining a studio for jewelry in Nuremberg when she chose to study at the Nuremberg Academy of Fine Arts, in the silversmithing class. There she created a large, silver-forged teapot, from which we served tea during the symposium; it was almost a sphere, with a narrow spout. This piece shows the combination of first-class craftsmanship and a true feeling for perfect shape and proportion. Ulrike Hofmann-Schuell also has the toughness to stand through the countless steps necessary to accomplish such a piece of work. 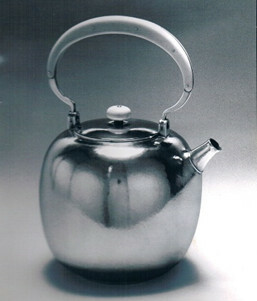 And, after all this time, kind of like a sanctuary item, this teapot is still used at her home, marking an important phase of her work life that also included studies in art history and pre-history at the Maximilian University in Munich. Were these enough skills for her secure artistic CV? There would be more. Turbulent times moved much in Ulrike Hofmann-Schuell’s life and work. Instead of crafting traditional jewelry and cutlery, she opened to daring experiments, strange ideas and idiosyncratic demonstrations. For one of our meetings, she wore a plastic bag around her neck, welded together in layers. Between the transparent sheets enclosed different partly organic materials. Eat-Art had just been seen at the Art dokumenta 6 in Kassel/Germany. 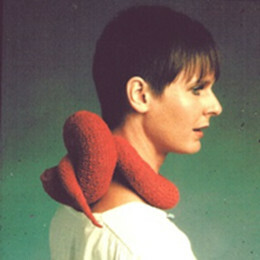 Then followed huge, snakelike knitted structures which Ulrike Hofmann-Schuell put around her neck, like an Eve taking care of the seductress. These creative actions contained a secret affront against the bourgeoisie which was presenting with gold and precious stones, nudging her to go for a kind of non-materiality or unlimited usability of all materials. With that, she earned her membership in the Association of Fine Artists. In 1989 she rented her first stand at the Frankfurt World’s fair in Germany. Next, at the World Congress of black, gold and silver smiths she presented her spoon set, every part forged from a single piece of silver. 2004 brought the contact to a prestigious Parisian gallery, where her jewelry then was exhibited until 2014. 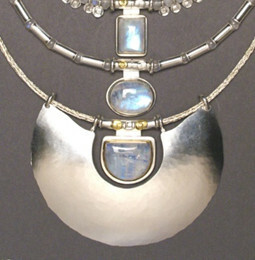 After several years of working on symmetric, centered compositions of rings, brooches and pendants, she turned to working on neckpieces. 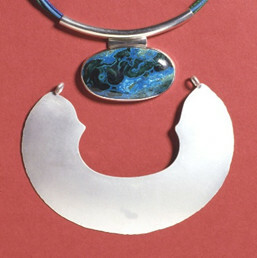 Ulrike Hofmann-Schuell moved the eye-catching stone of the pendant to the upper edge, thus gaining larger areas of vivid silver plates which take on individual shapes. She also used the possibility of two separate parts, to be worn either as a pendant or brooch, or together as a larger neckpiece, like a weekday version and a holiday set. This opened the way for a whole new series of new combinations. Simultaneously, she began volunteer work assisting AIDS patients. 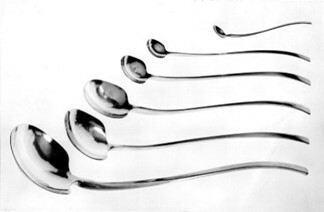 In her social commitment she got close to the ‘social sculpture’ proclaimed by Beuys (1), because she now not only created jewelry from new ideas, but at the same time also changed the social gestalt. She obviously searched for a possible deepening of personal interaction and found fulfillment in classical healing with laying on hands. Healing is simply helping someone - and perhaps oneself – to get back on the right track again, that is, aligning with one’s own life. And so Ulrike Hofmann-Schuell learned to redirect some of her creative powers into healing and opened her own practice for energy work in Fuerth/Germany. Anyone thinking she now would follow this path for the rest of her life is wrong. From the depths of her creative capacity, she started a completely new, different, exciting jewelry line. Large-scale, irregular and free-shaped structures of metal bands were developed. 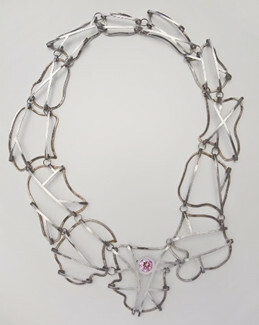 Ulrike Hofmann-Schuell overcame all the classically shaped boundaries and has evolved to postmodern dynamic structures in which the jewelry-wearing person her/himself decides how she/he wants to use the big, light, asymmetrical structures with well- integrated, brilliant faceted and colored stones. Static construction transformed into dynamic structures, and predetermined regularity changed into possibilities for self-decision, as the asymmetric figure can be individualized by personal choice. To live an actual life, one needs, besides success and groundbreaking ideas, a deeper layer which unites the excessive life to a whole, a center from which all activities gain meaning. Ulrike Hofmann-Schuell’s ongoing search for artistic, individually portable jewelry relates to her social commitment, and includes more than just aesthetic self-adornment or the presentation of property and wealth. For her, the original function of embellishment is a mental activity rising from the mythical grounds of all being, a formula for access to the afterlife, a spiritual connection to the transcendent. Thus, Ulrike Hofmann-Schuell always merges both her newly covered issues of jewelry design with her multileveled artistic, social and spiritual activities to achieve an inner unity which finds its most beautiful expression in her jewelry making. 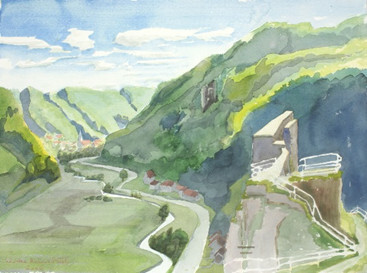 No postmodern jokes or quick ideas without depth are at home in her pieces. Wishing to find a way to encapsulate the creative essence of this versatile artist, I would say that in her work and the development of her life there is a deep dialectic connection between vivid changes and an immediate fascination that lead one, as Pina Bausch (2) said “to find, what you do not know “.